Cindy started working with Hal a few months ago after his caretaker moved away. Eagles can take on new presenters / caretakers, it just takes a little for them to get use to them. Cindy is not one to push training to get it done fast. She likes to take the time to get it done right. Last night was the first time of putting him on fist. Both took to it as natural as could be. After a little time Hal was comfortable enough to try some preening. Hal is a Exxon Valdez Oil Spill Disaster survivor. This year is his 20th anniversary with Bird TLC. He was an immature when he arrived and is guessed to be 21 years old. Best of luck to them both and we can't wait to see you both doing presentations. They look like a handsome pair. Hal is a lucky guy to be paired up with Cindy. 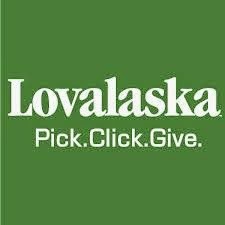 When you make a donation from your Alaskan PFD through Pick.Click.Give., you can make an impact by sharing just a little with a cause you care about. With your support we will continue to provide primary medical care and rehabilitation for sick, injured, or orphaned wild birds; and to provide environmental education for the public through live wild bird programs. Photos from around Bird TLC. SmugMug space donated by SmugMug. Places we visit. No commercial sites allowed. Conquer the Bridge with team Yes We Peli-CAN! ... "We will continue to provide primary medical care and rehabilitation for sick, injured, or orphaned wild birds; and to provide environmental education for the public through live wild bird programs."